Remember the Alhambra! has been rallying cry for Sacramento preservationsits since the Alhambra Theatre was razed in 1973 and replaced by a Safeway supermarket. 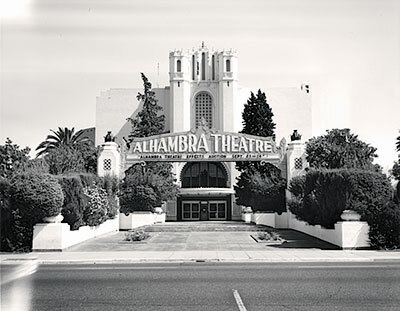 The Alhambra Theater, designed in the Moorish style by architect Leonard Starks, opened in 1927 and was so splendid that Sacramento changed the name of 31st Street to Alhambra Boulevard. Leonard Starks' Fox Senator Theatre at 913 K Street was also demolished in the 1970's, but some of his buildings have survived, notably the Fresno Bee Building, the Sacramento Elks Temple, and the Sacramento Post Office and Courthouse.